For fans and the media who cover the NHL, it can seem like Christmas. The chance for teams to add, what the team and their supporters hope, a player or players who will ultimately put them over the top and help them capture a Stanley Cup. For the players themselves, the day can seem like a trip to the dentist. The lead-up to the deadline can be an anxious time that could result in a significant change to a player’s life, both professionally and personally. Mathieu Schneider knows this as well as anyone. As a player who skated for 20 seasons and suited up for 10 different NHL clubs, Schneider was no stranger to the trade deadline and the issues that it presents to players. Every single NHLPA member understands that trades are part of the business. While traded players will quickly make the move to a new city, suit up with their new team and play their hearts out for the fans, that doesn’t mean that it has no effect on them. Aside from their personal trepidations and anxiety about being traded to another team, players who have families face another unique set of circumstances. Players’ wives and children are obviously a crucial part of their support system, and these trades can often times be very tough on the families. Aside from the anxiety prior to the trade deadline, and the resulting strain placed on families following trades, the players are also highly-competitive athletes who are hard-wired to work to succeed. They recognize that their careers will not go on forever and they try to enjoy the experiences of the NHL life as they come. 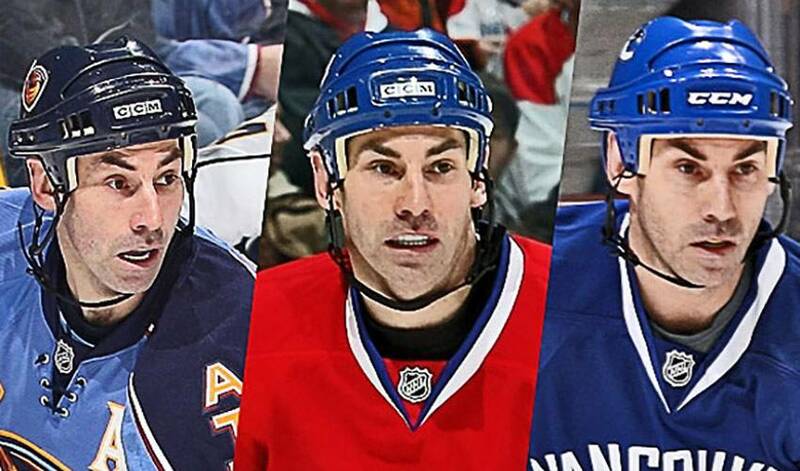 So as we all follow players swapped like hockey-cards on the school ground, remember that behind every blockbuster deal that brings a new saviour to your favourite team, is an anxious and excited family man who is ready to step-in and do his part to try and reach the ultimate goal – help his new team win the Stanley Cup.